How much of running is mental vs. physical? I don’t think my body was made to be a runner and it does not come easy. And sometimes, I fool myself into thinking I just can’t run farther or faster or longer. As much as I love to run, it’s not always easy to get out the door and go. But once I do, usually close to a mile in, I am glad I did it. And during my run, there are times I can psych myself out into thinking I need to walk, I can’t possibly run anymore. This is when I usually push myself further just to prove I’m full of it. It usually works. So for me, running is definitely more of a mental challenge. When I trained for the Women’s Half Marathon last year, it was the first time I stuck to a true training plan. In fact, it’s the one and only time in all 10 of my half marathons that I followed a true plan and didn’t just run to get miles in. It worked well and I ended up PR’ing and beating my goal that I set. In deciding on a training plan for the Space Coast Marathon, I asked my friend Beth to help me decide between two Hal Higdon plans and we decided on this plan. I have new shoes, two pairs actually to get me through training and the race itself. I need to invest in a couple new pairs of shorts and sports bras to train in. I will continue with my GU Gels on my longer runs which I have always had good luck with. As for hydration, I am really just a water drinker. I am not a fan of sports drinks, although I have been known to chug a cup of it during a race. The longer miles may require electrolytes. Training actually starts the end of this month, on July 28th. Currently, I am getting my Sunday long(ish) runs up to where I need to be for the 8-mile long run start of the plan. If I think about the training too much, it is very overwhelming. The thought of a 20-mile training run is mind boggling to me and if I’m being 100% honest, I question my ability to do it. Bottom line is, marathon training scares the heck out of me. But, I can’t think like that. I have to focus on one week at a time. By the time I get to that 20-mile long run, I’ll have already done 17, 18, and 19. Between the 19 and 20 miler, I’ll cut back to 12 which will probably seem like nothing. 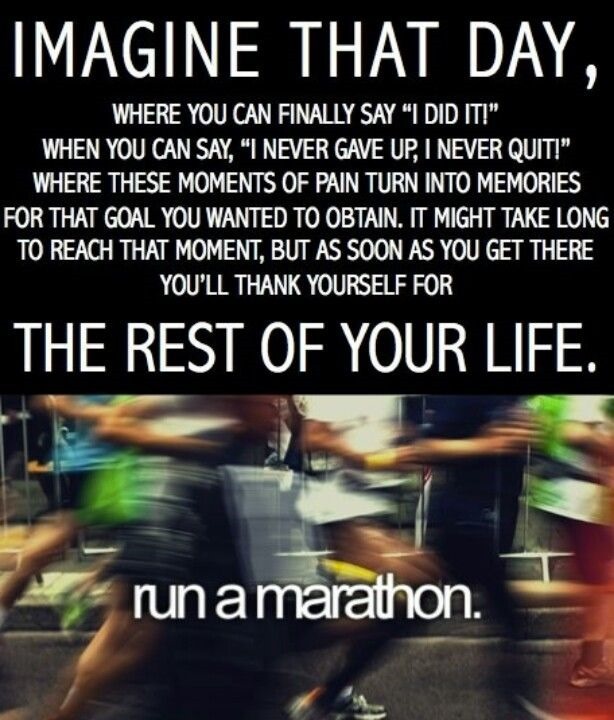 I think about running my first marathon a lot. There are days that I picture myself crossing that finish line. There are also days that I wonder if I’ll really be able to do it. I am sure these are all natural thoughts. 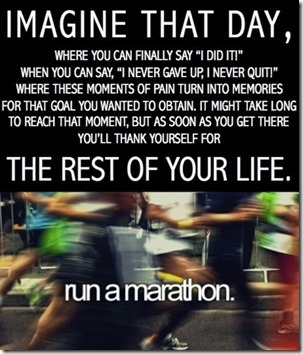 And it is this constant thinking about it that made me decide to do a full marathon in the first place. Two and a half years ago I was contemplating my first half marathon and I’ve now completed ten. It’s definitely time. 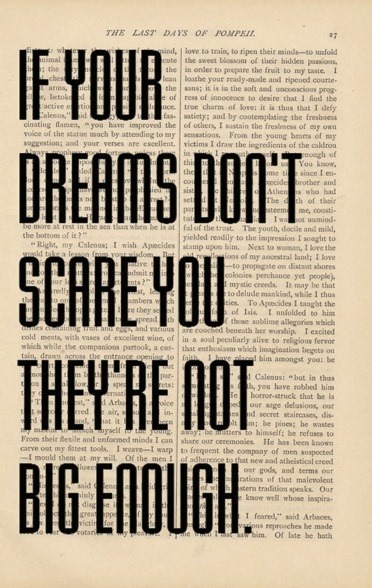 My desire to do it outweighs the fear of doing it. I have a great support system in place. I have a husband who goes out with me, dark and early, so I’m not running by myself. When the miles get to be too long for him to run, he’ll ride his bike with me. My family is supportive – and proud of me. That is a great motivator. I am fortunate to have many running friends who can offer encouragement and advice to me along the way. If it were not for the friendships I’ve made and inspiration I’ve received from them these last two years, I’d likely would not be racing like I have been. Forget the time. This will be hard because in my last four half marathons, I’ve really tried to push myself on my time. Now is not the time (no pun intended) to set time goals. It’s as hot as the face of the sun outside and I am just running slower and that’s okay. Marathon training is about endurance and going the distance. I also have no specific goals for finishing, other than I will finish. Besides, my first full marathon automatically makes it a PR, right? There will be good runs and bad runs. I can’t let the bad runs set the tone of my training. Enjoy the training. This is a big deal for me and a huge undertaking of miles and training to run those 26.2 miles on race day. I’m doing it to prove to myself that I can indeed do it. 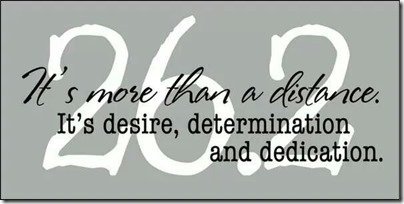 What I once swore I would never do, I am now determined to do. 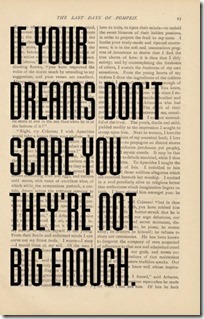 This is what motivates me and what I will think of as I am putting my heart and soul into training. I will keep imagining that day where I can finally say “I did it”. What is your biggest obstacle when training for a race? Is it more mental or physical for you? Looks like you chose a great plan and you are ready (mentally and physically) for a marathon! you are going to do great! 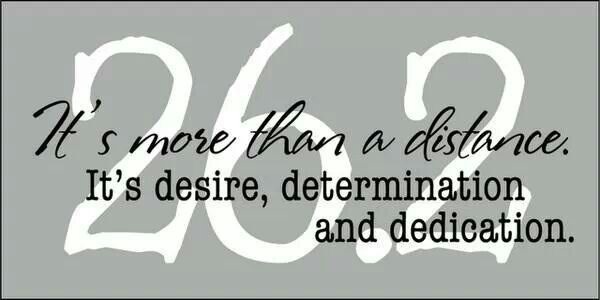 You are dedicated and determined and that’s mostly all it takes besides knowing how to run and listening to your body. As for the GUs and the sport drinks/electrolytes, yes it is important to know how to snack while training. Nourishing your body is just as important as the training and the miles. I typically drink coconut water or NuuN when training, but during the actually marathon I drink water AND Gatorade at each stop beyond 13 miles. Your body needs it. Also, during the bigger miles runs, you’re going to have actually eat something besides GUs. I’ve stored things like protein bars, peanut butter crackers, gummy bears, etc., just to have something to snack on and keep my energy levels up. You also need to think about eating something before you set off on the longer training runs, like peanut butter on half a bagel or peanut on half a banana. Thank you for the advice, Denise! All great info! You can do it!! It will definitely get tough and training will take over your life, but the feeling when you cross the finish line will be the best EVER! Nicole @ Fitful Focus recently posted…NOURISH Cookbook Review + Recipes! You’ve SO got this Nancy!! Guest Post: Marathon Bound! | Tampa Mom Runs!